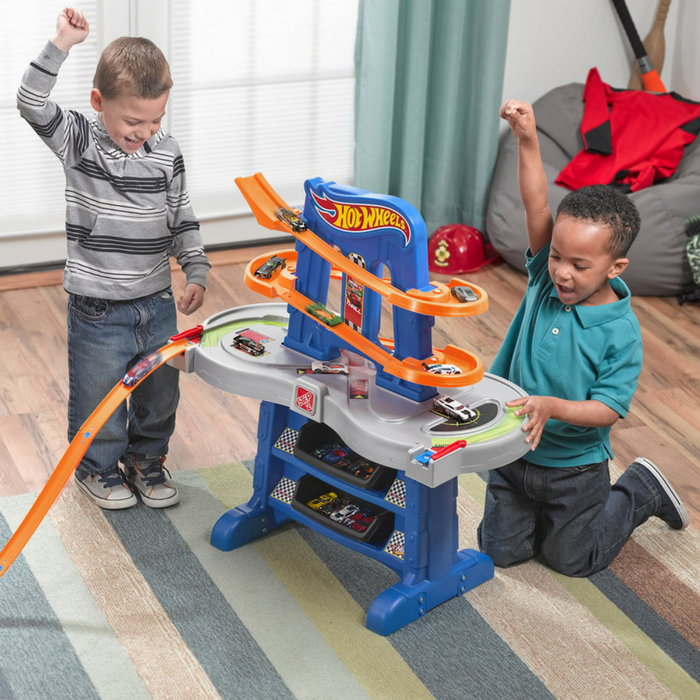 Step2 Hot Wheels Raceway Just $38.99! Down From $90! PLUS FREE Shipping! You are here: Home / Instagram / Step2 Hot Wheels Raceway Just $38.99! Down From $90! PLUS FREE Shipping! For a limited time only! Hurry over to Kohls to score the Step2 Hot Wheels Raceway for just $38.99 down from $89.99 when you use promo codes TOPTOY20 and DEAL25 at checkout PLUS FREE shipping! This Step2 Hot Wheels Road Rally Raceway Deluxe offers all in one Hot Wheels fun! The zip zap design let’s little Hot Wheels speed demons take their favorite cars down the race track.